In 1953, Hideo founded the firm that would evolve into Sasaki. With the history of last six decades, the firm has made an indelible mark on the built world around us. Their value of pursuing the unknown, keeping everything connected and proving what’s possible is a motivation to make them believe in the transformative power of place. We focus on landscape architecture industry and devote to spreading the excellent design ideas around the world. In today’s interview, we introduce Michael Grove, Principal of Sasaki also Chair of Landscape Architecture, Civil Engineering, and Ecology. Sasaki has been active in the design field for over 65 years, with projects around the world. What are the strengths of Sasaki since the company has developed? What are your big achievements and reflections in the field of design? 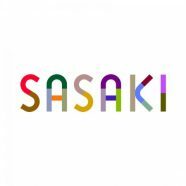 I joined Sasaki over 20 years ago, so have personally experienced nearly 1/3 of the firm’s history. The key aspects of Sasaki’s culture that inspired me to join the firm back in 1998 are the same today—a passion for curiosity and experimentation, and the depth of knowledge that stems from our interdisciplinary practice. Because Hideo Sasaki was the Chair of the Department of Landscape Architecture at Harvard University, the foundation of the practice is one that is built upon intellectual curiosity and academic rigor. In many ways, Sasaki feels much like a university. We are in a perpetual state of discovery, experimentation, and research, constantly striving to improve our own practice and the design industry as a whole. This is reflected in our project work as well. We are a firm of ideas, not authors, which means that we don’t gravitate towards any one particular style or trend, but rather take a more holistic view of problem solving. This strategy allows us to tackle complex projects, looking at them from multiple perspectives as part of an iterative design process. This spirit of inquiry ensures that our work is thoughtful, thorough, and timeless. Our talented professionals also bring an immense depth of knowledge to our work. 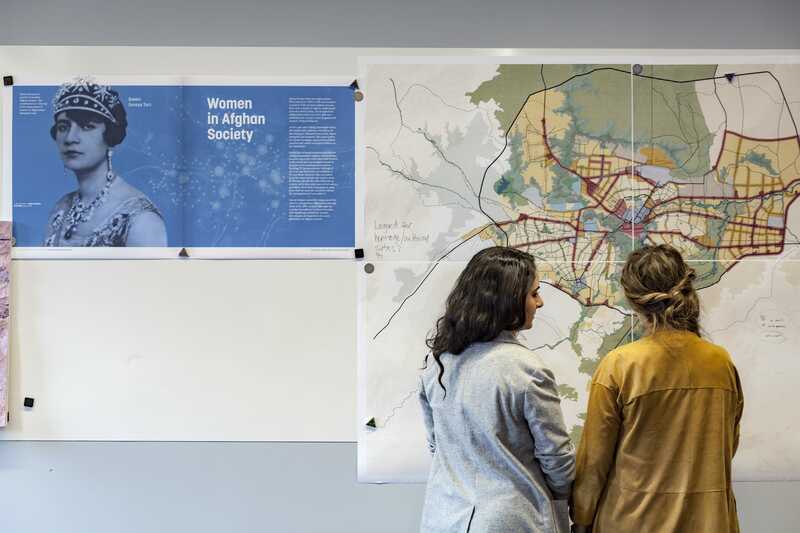 As a pioneer in interdisciplinary practice, our approach of integrating multiple design perspectives on each project adds a nuanced richness to our work. 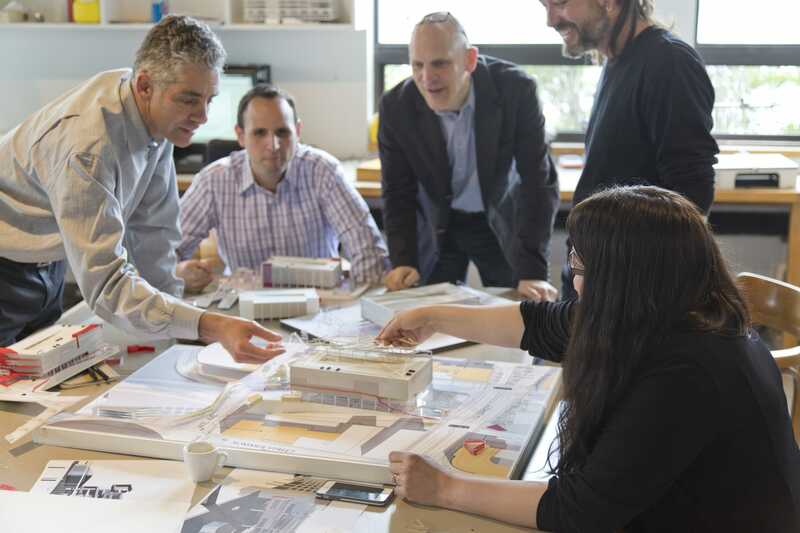 At any given time in the firm you will see diverse design teams that bring together specific expertise in architecture, planning, urban design, landscape architecture, graphic design, interior design, and civil engineering—as well as financial planning and software development. This approach always yields rich ideas, surprising insights, unique partnerships, and a broad range of resources for our clients, while enabling us to work seamlessly from high-level planning through project implementation. “Urban Renewal” has been repeatedly mentioned. In today’s North American and European cities, what new problems they are facing? What kind of design considerations do you have in this case? Every city in the world has its own unique challenges based on its context. These are often driven by demographics, political forces, investment priorities, geography, and a host of other contributing factors. Therefore, it is difficult to identify any one common problem facing cities in Europe or North America, each of which have their own unique identity and set of issues. What I have learned, however, is that having any one issue dominate more than any other leads to problems. I grew up in Cleveland, Ohio, which, at the time, was very much an industrial city focused on steel production and all of its associated manufacturing-based industries. Much like Detroit and other “rust belt” cities, Cleveland experienced economic decline when it did not maintain its focus on global connectivity, innovation, and a host of other outside forces. Today, I live in Boston, which has a much more robust and diverse economy centered on education, healthcare, technology, and finance. 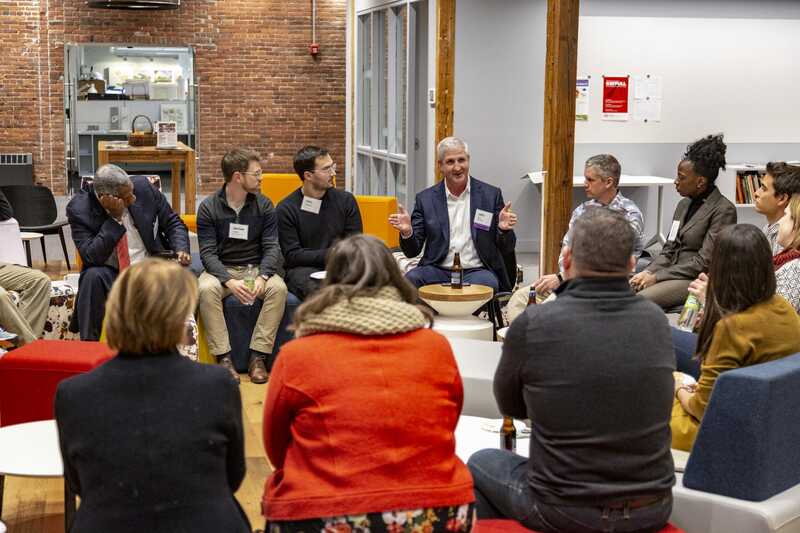 The common denominator in Boston is that all of these diverse sectors have a direct relationship with the area’s multiple academic institutions. Boston’s world-class universities supply a never-ending supply of knowledge, talent, research, and innovation that allow its economy to adapt to rapid change. 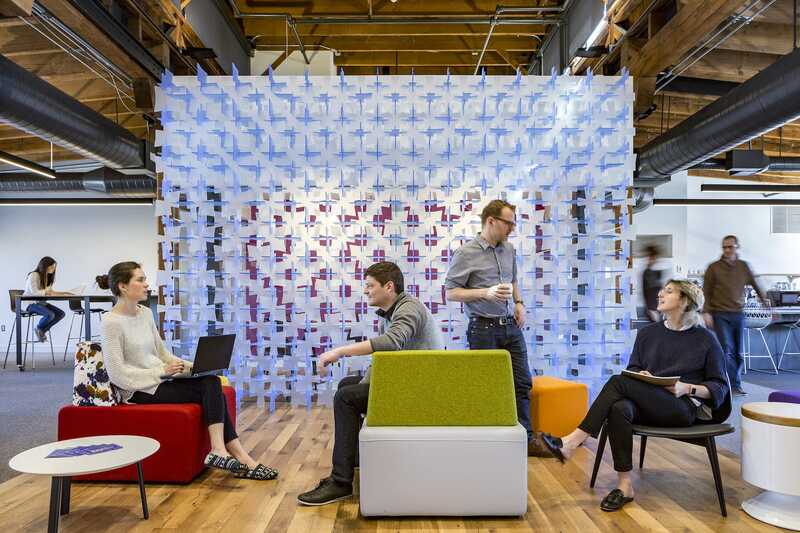 Being based in Boston, Sasaki certainly captures this spirit as well, which is why I think we are able to constantly evolve as a firm—it is in our DNA. 克利夫兰欧几里德大道快速公交健康线项目，Sasaki将快速车道走廊的公共区域改造成线性的绿化空间，使经济大萧条后的克利夫兰重新焕发生机 Cleveland Euclid Avenue Healthline BRT, Sasaki’s design transforms the public realm of the corridor into a linear green space. It has helped Cleveland regain its footing. ▼建立清晰的快速公交系统(BRT)品牌 Establishing a clear brand for the Bus Rapid Transit (BRT). ▼人行道的地面有规律地铺设着彩色的砖块，季节性植栽为街道增添了美感 Seasonal plantings provide splashes of color in the medians, colorful and rhythmic pavement striping in the sidewalks provide human scale. For all cities to experience the benefits of the constant renewal that will drive investment, the most important of these is the pipeline of talent, and a quality of life that keeps its citizens engaged. This means that cities need to celebrate their universities and invest in education, incentivize innovation and research, promote diversity in economic sectors and in demographics, have transparency in governance, provide affordable housing, create arts and cultural uses for enjoyment and intellectual enrichment, invest in infrastructure and public transit to improve mobility, and connect to the larger global community. Design alone cannot solve all of these issues, but we can certainly help make effective policy decisions a physical reality. The one common denominator that all cities face, however, is climate change. We are all acutely affected by changes in our environment, and the impacts to our cities—ranging from increasing storms intensity and floods to drought, fire, and famine—will dramatically change the way we live. Again, no one city can solve this problem. Resiliency strategies are important, but they address the symptom, not the source. We all must work together to curb the contributing factor to climate change—greenhouse gas emissions as a result of fossil fuel consumption—as our most important priority. 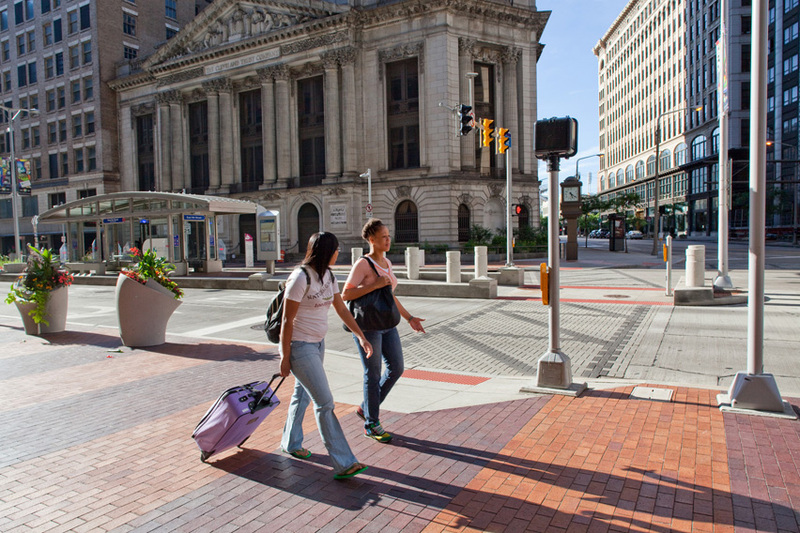 To experience true “urban renewal,” all cities must become energy neutral. You have participated in many large-scale planning projects. Are these projects forward-looking and have they solved the current social and environmental problems? Is there any general applicability in your design experience for small-scale projects? 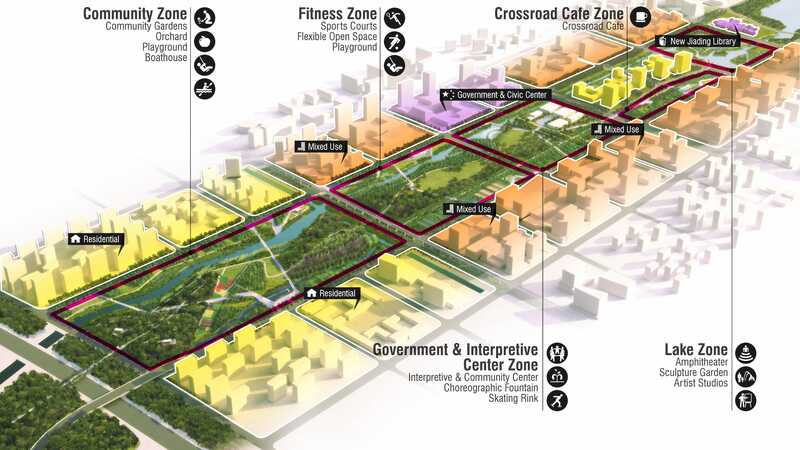 What strategies can guide small-scale urban space design? Planning projects are a necessary part of design, as they create a long-term outlook and inform specific future design interventions. Cities, regions, and countries that effectively adapt a long-range planning strategy are better prepared for a changing global landscape. That said, it is critical that these strategies are flexible and not dogmatic so that they may adapt to changing conditions. I believe that all of the planning work we do at Sasaki plays a key role in solving social and environmental issues. Our design frameworks often address strategies to increase the conservation of vulnerable habitats, provide public open space and improve the public realm, address water quality issues with landscape infrastructure, create a variety of uses to encourage economic and cultural diversification, address mobility and transit strategies, and provide a range of housing strategies to allow for all people to regardless of income to have a good quality of life. By their very nature, all planning projects must be forward-looking, and address the unknown. This is where Sasaki’s focus on the intersection of research and design play an important role. 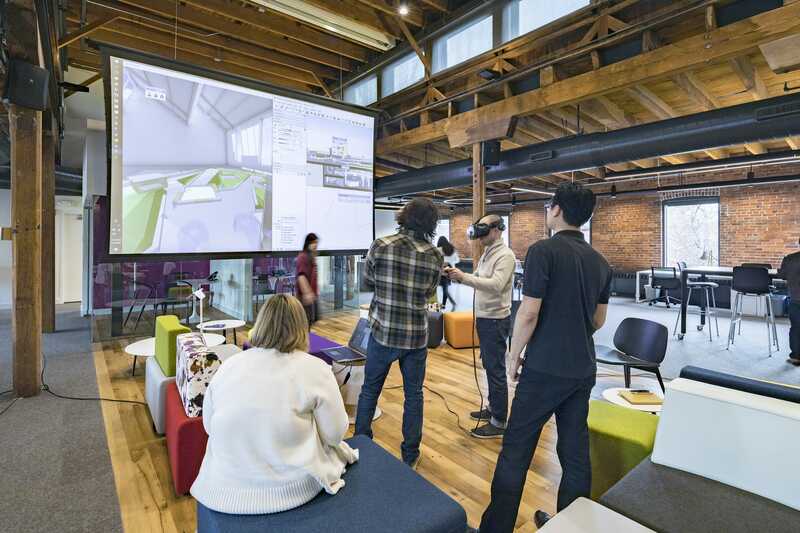 Intellectually, we are constantly thinking about the future and imparting the most up-to-date findings from this research into our design solutions. This research-based approach impacts both large-scale and small-scale plans. Our design thinking always transcends scales, which is a result of our multiple disciplines working together. 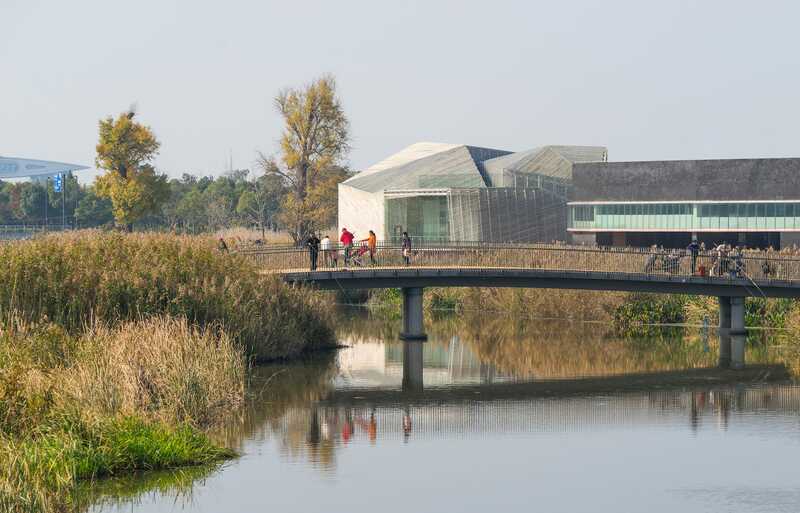 While planners might be focusing on policy, landscape architects are looking equally at systems and details, and architects and engineers are designing discreet site-specific solutions. Much like an orchestra, each of these instruments are unique in their own right, but are much more impactful when, carefully conducted, they come together to create a symphonic work of art. China has developed rapidly in the past 30 years. What problems do you think have brought to the urban environment in light of this rapid growth? How does Sasaki’s work respond to these questions? Sasaki’s first project in mainland China was in 1998, and I have spent all 20 years of my career working in the region. 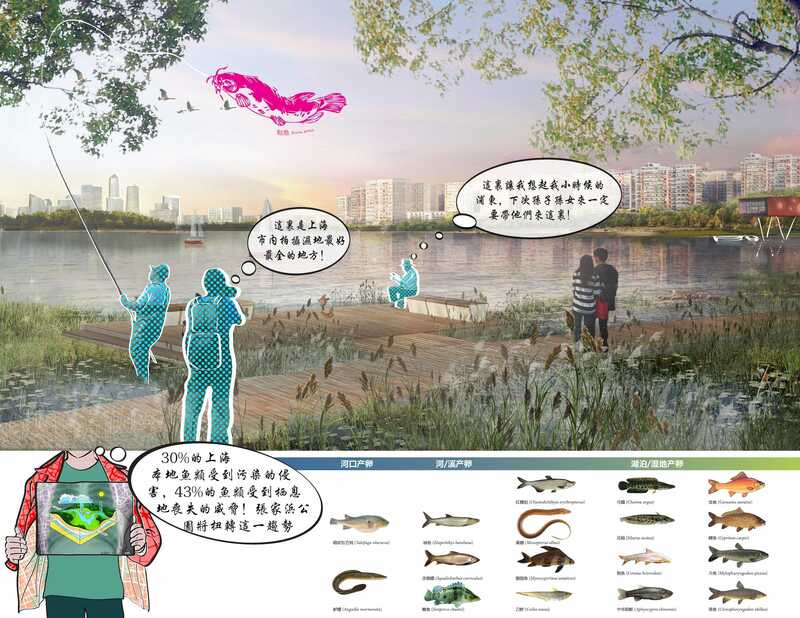 Each city in China has its own individual set of problems specific to its context, but in general I believe some universal issues are related to environmental protection and habitat loss, quality of the urban public realm, and community input and participation. 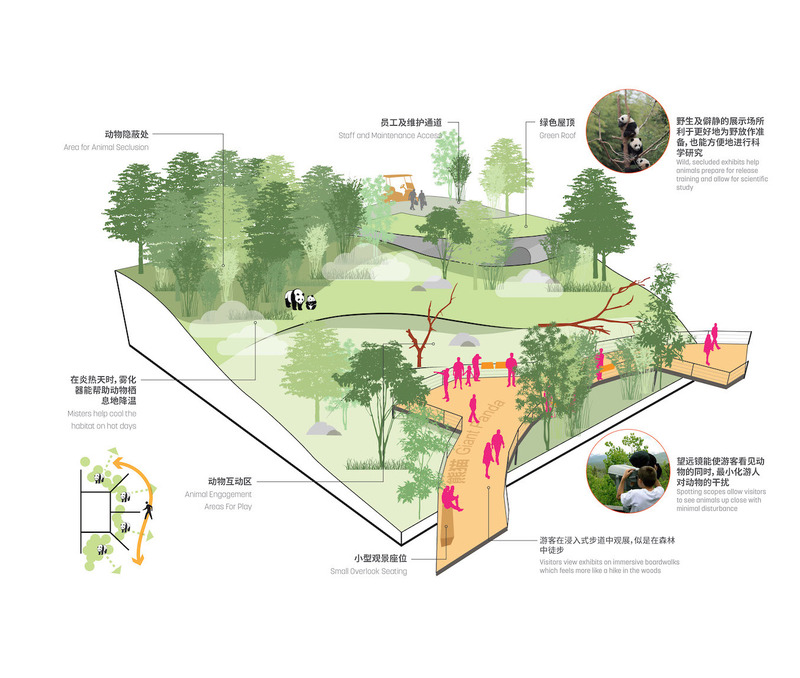 At Sasaki, our work in China has focused on restorative ecology and habitat conservation at both the planning and built-work scales. 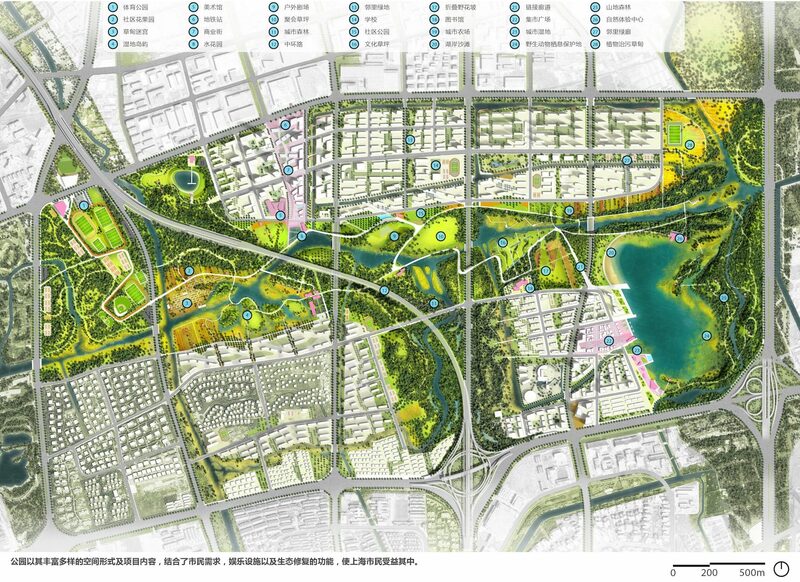 For example, our work at Jiading Park in Shanghai transformed channelized canals into soft-edged waterways that are abundant with native plants that are attracting amphibians, fish, waterfowl, and beneficial insects—none of which existed on the site previously. 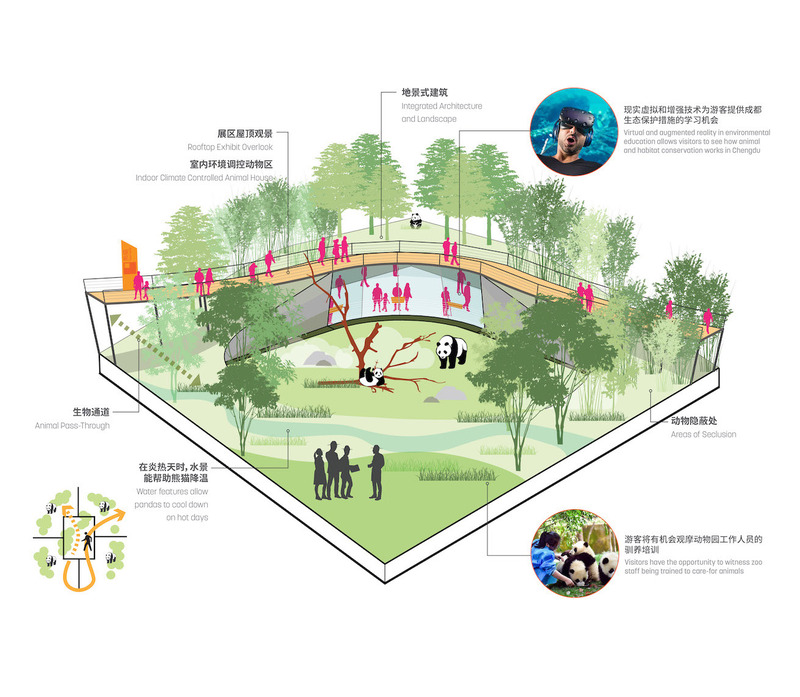 In fact, we even collaborated with East China Normal University to conduct a post-occupancy study of the park which measured improvements to water quality because of our design interventions. 今天的公园中，往日污浊的运河和肆意的蓝藻早已不见踪影，取而代之的是清澈的河水和垂钓的渔翁；昔日喧嚣的马路已不再焦躁，变形为幽静的林阴步道 Today’s park features clear water and fishermen where dirty canals and algae blooms once proliferated. A quiet promenade takes the place of a noisy roadway. 湿地与林地的修复改善了公园水体和空气质量，培养了本地生物群落，增加了生物多样性 Restored wetland and woodland has drastically improved water and air quality and biodiversity. 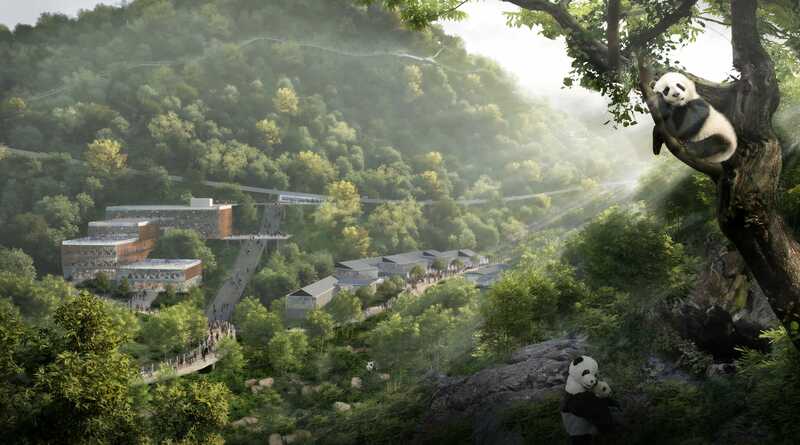 In Chengdu, we are working on protecting 69 square kilometers at the Chengdu Panda Reserve which builds upon ongoing research efforts and focuses on habitat restoration and research, as well as pre-release strategies to integrate juvenile pandas back into the wild. 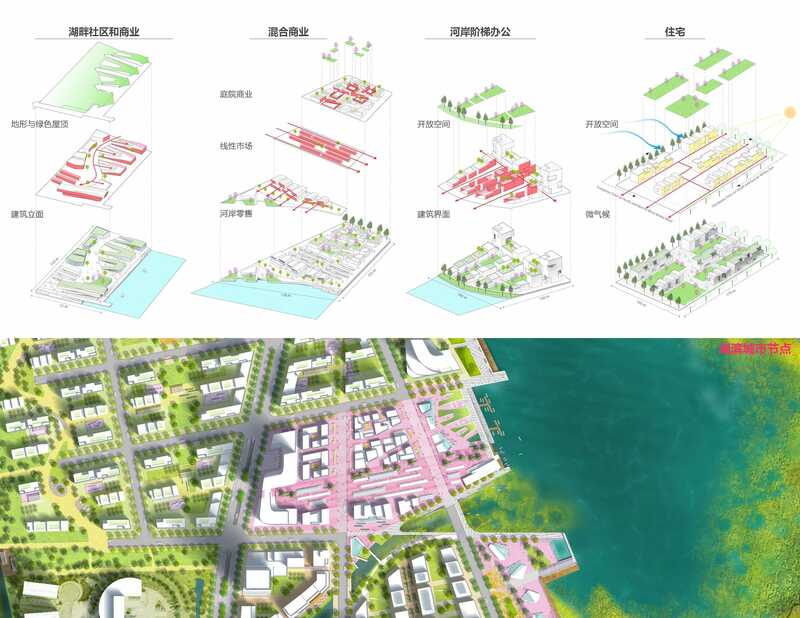 These projects are just a small example of our thinking at the intersection of the environment and human development, where our planners, urban designers, architects, landscape architects, and ecologists are all working together towards the same goal. 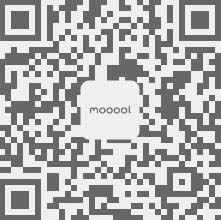 北湖熊猫公园片区为访客提供沉浸式的自然体验，引导游客近距离了解和观赏大熊猫及其伴生物种 The first site, Beihu Panda Park leads visitors can learn about the daily lives of pandas and their companion species, their shared habitat. 都江堰熊猫谷片区是集研究，教育和体验为一体的科研基地 The second site, Dujiangyan Panda Wilderness is primarily focusing on research, including breeding techniques and assimilation into the wild. 龙泉山熊猫之窗片区是进入成都和了解大熊猫生态的第一站，也是体验天府文化，本地历史、美食、区域生态与国宝熊猫的门户 The third site, Longquanshan Panda Village provides an educational overview of the region’s history, food, and wildlife, including the prized native panda. 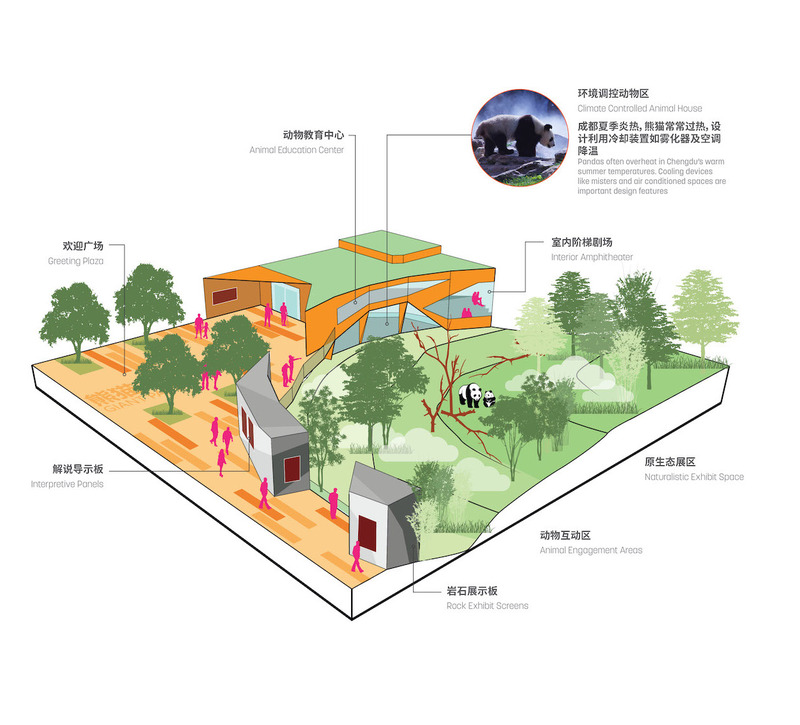 Another area that we are very interested in improving in China is community engagement and participatory design. 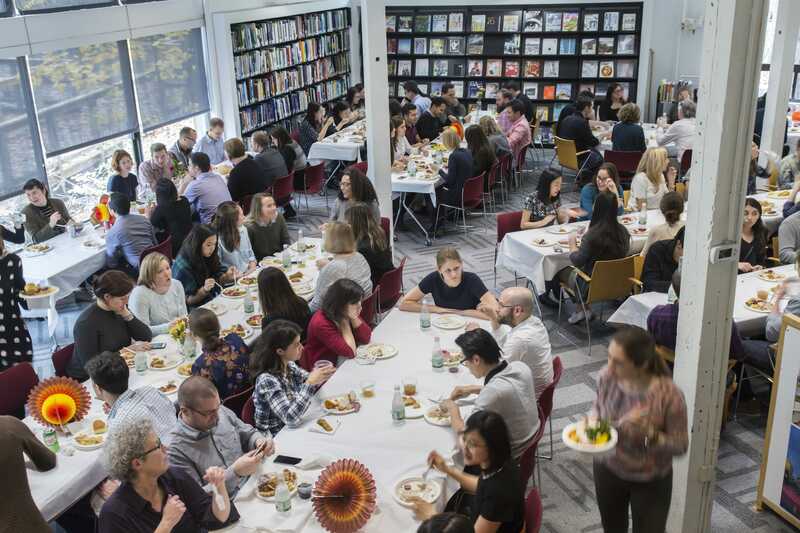 In the United States, we are celebrated for being a firm that is very inclusive of the communities in which we work. 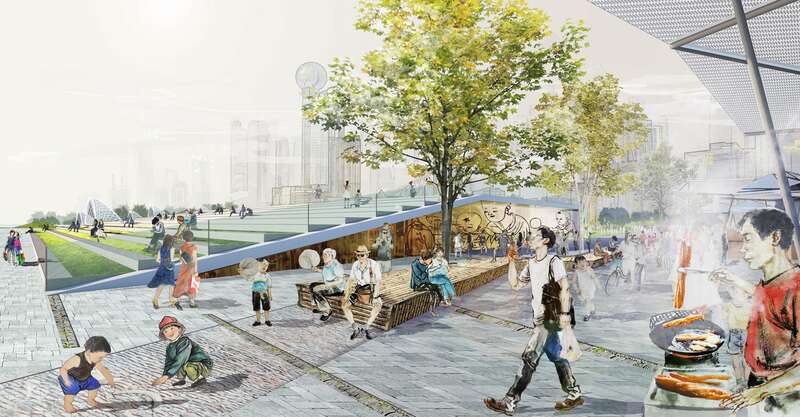 Gaining perspective from the constituents who will eventually use the spaces we design—especially public landscapes—is a critical part of our design process that results in a stronger design. When the community is involved in the ideation of a space, they often feel a stronger sense of ownership and therefore tend to appreciate and take better care of these spaces. In China, however, community engagement is a relatively newer concept, though it is one that we feel brings great value to our work and to our clients. 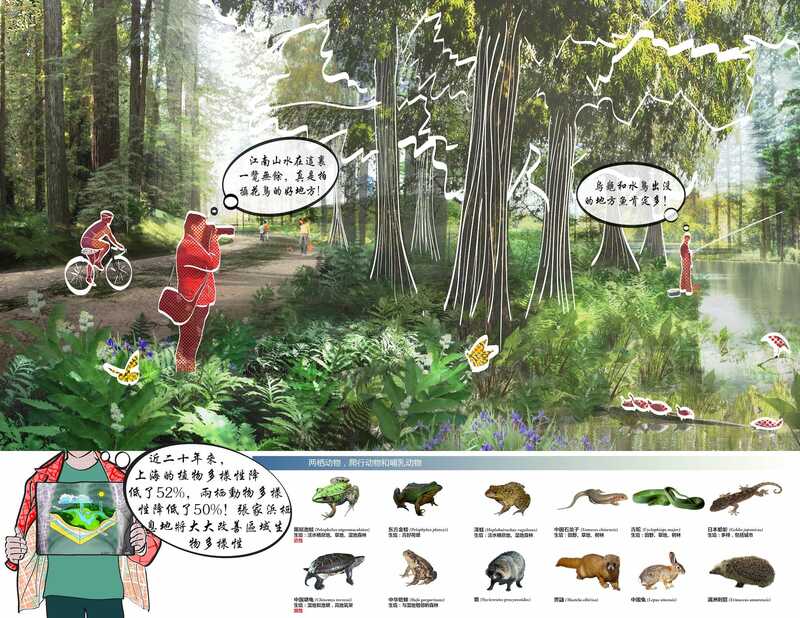 At Zhangjiabang Park in Shanghai, we worked with our internal software development team to design a tool which helped the community provide feedback regarding that programmatic uses they would like in the park. 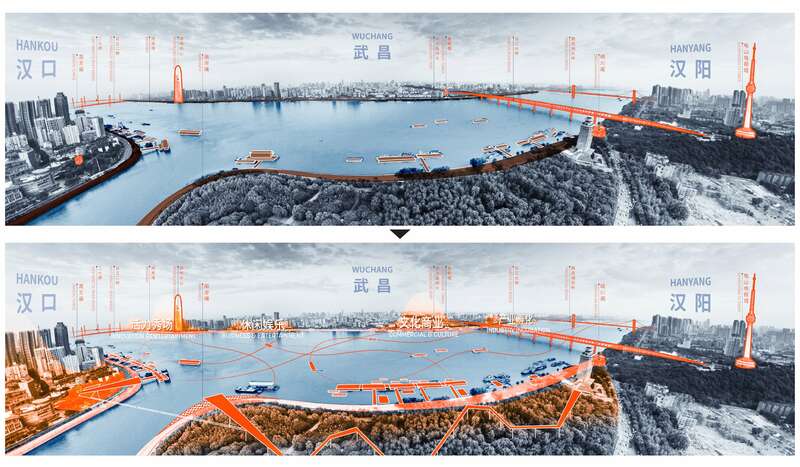 And for the Yangtze Riverfront Park in Wuhan, we developed a web-based outreach effort that generated fruitful public support of the design, and consensus on the future of Wuhan’s waterfront. Throughout the design process, over 65,000 public comments were collected, helping to inform the design. 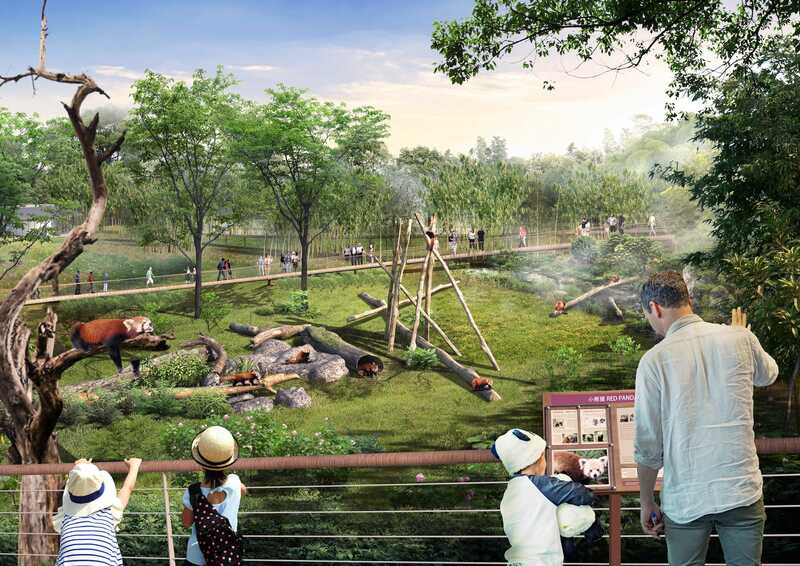 Local civic groups also organized a series of public meetings and site tours to promote stewardship of the river’s public landscapes, and local youth were also invited to portray their vision for the waterfront park at an on-site event. When the public is engaged in the process, they often gain a better understanding of the problems and are incentivized to be a part of the solution. ▼张家浜是上海拟建的8个“楔形绿地”中的首个建设项目，建成之后将成为上海市最大的公共公园 Zhangjiabang is the first of Shanghai’s eight planned “green wedges”, and will become the city’s largest public park. Party A (the Client) often has more direct power and authority in China. How do you get Party A to accept new ideas and infiltrate them into the project? What are these new concepts or ideas and what are their impacts? As designers, our primary responsibilities are to educate and inspire. When you educate the client with thorough site analysis, you not only help them understand their most valuable resource—their site—but you also take them on an intimate journey of your thought process so that they fully understand the logic behind your design solution. And when you inspire your client with your ideas, you are allowing them to dream and have a shared vision that you both are responsible for making a reality. To be truly successful, you must do both. If you educate but don’t inspire, you may provide the client with a good grounding for future work, but you have not done enough to help them visualize the solution. When you inspire without educating, you leave the client with an arbitrary design idea that has no real grounding in its unique context or their specific needs. The best projects result from a process where Sasaki and our clients are working as a collaborative team, sharing ideas and having an ongoing and honest dialogue so that we fully understand each other’s perspective and reach the solution together. What difficulties have you encountered while you are doing Chinese case or Asia case? Are there any regrets? Each project has its own difficulties, but one commonality is the lack of transparency in the process, and a diminished sense of respect for the power of design. Design is an iterative process which takes time and effort. The first idea is not always the best, and the creative spark is not something that just happens once you sign the contract. Design needs to go through a methodical process to ensure that multiple inputs are considered and tested. In China, the pace of work often truncates this process. Sometimes this can result in something truly innovative and new, while other times it can lead to missed opportunities to do something transformational and exceptional. For a great project to materialize, it must evolve from a mutual respect between the designer and the client. Everyone is busy, whether you are a developer, a government official, or a designer. We must respect each other’s ideas, feedback, and time, working together towards a shared goal. I don’t have any personal regrets, though I am disappointed when schedules aren’t respected, agreements aren’t honored, and designers are treated as a commodity rather than a partner to help the client achieve their vision. 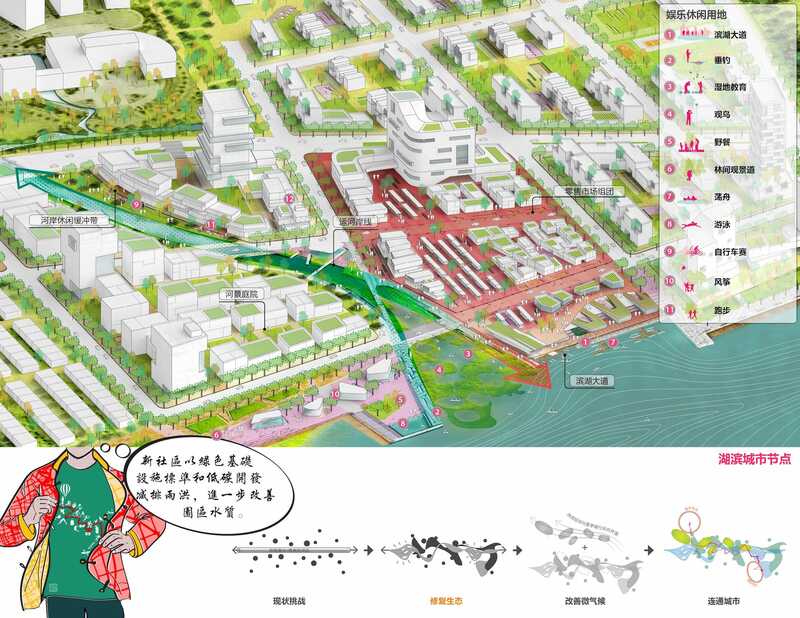 China’s urban development is transitioning from quantitative to qualitative models. What do you think are the prospects and opportunities for current design practice? Experiencing this transition from quantity to quality of design in real time is an amazing phenomenon. Because of its willingness to try new ideas, China is very much like a tech start-up—falling down, getting back up, learning from past mistakes, and creating something better in the next round. This is a normal part of the innovative process, but this type of evolution is not typically experienced in the physical realm so quickly. 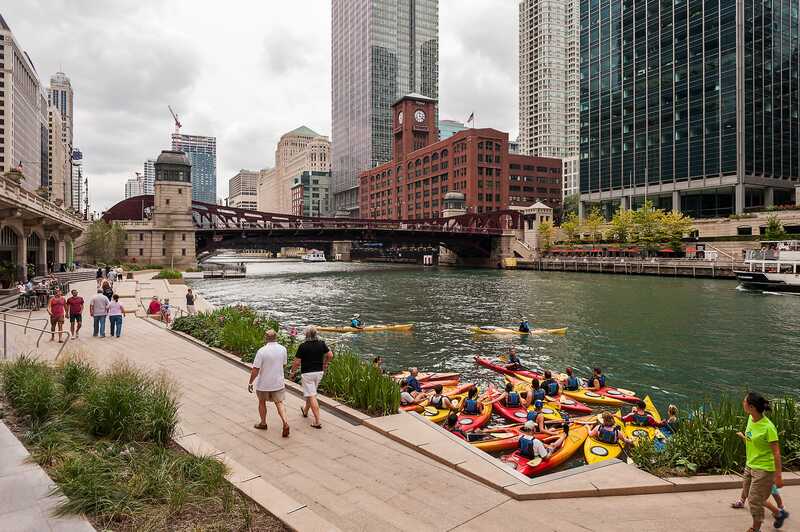 In the United States, we are still recovering from and rectifying mistakes made decades ago, in terms of urban infrastructure, transportation, urban design, and the public realm. In China, mistakes are certainly made, but they are often minimized because of an open-minded approach to fixing bad ideas and trying something new. With respect to the urban public realm, quantity wasn’t necessarily a bad thing, as it created new open spaces where they may not have existed before. 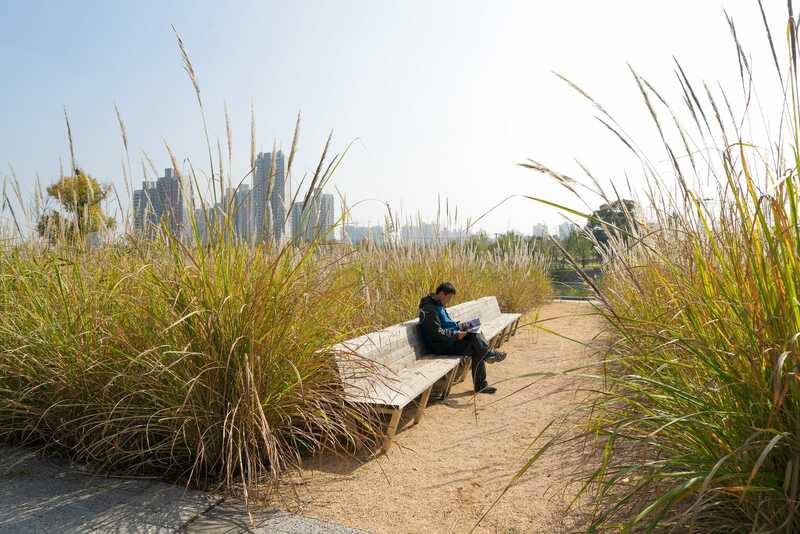 The real remarkable change is the ongoing transformation of these spaces into beautifully designed, well-crafted, and environmentally functioning landscapes. 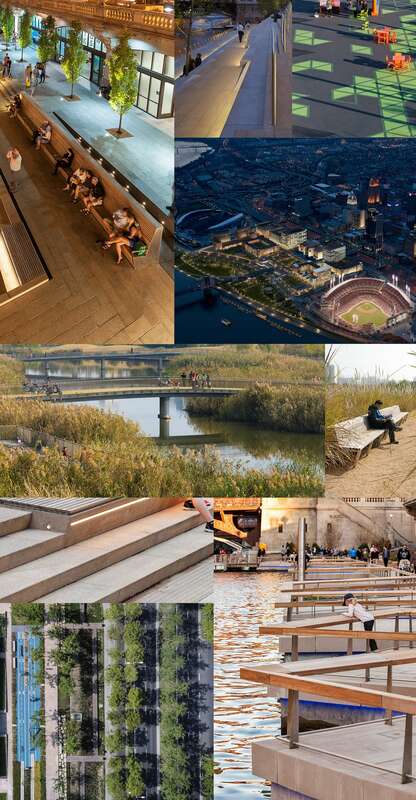 This is where the design profession is truly needed, ensuring that the spaces we build consider the people who will use them, how they fit into the urban context, and what they are contributing ecologically. 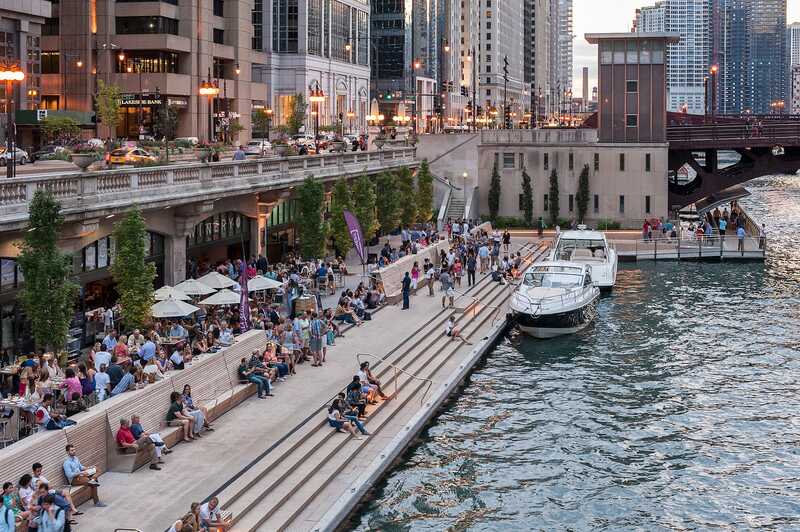 All public spaces should contribute to the betterment of society in some way, and it is our responsibility as designers to provide a meaningful and lasting benefit to humanity and to the planet. 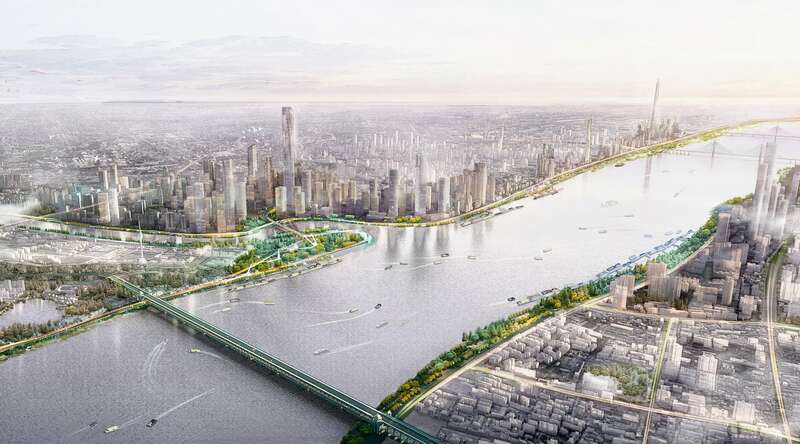 ▼武汉长江滨江公园，深度思考城市空间如何融入城市环境 Wuhan Yangtze Riverfront Park, deep thinking on how urban space fits into the urban context. 在南岸嘴标志性的“江汉之心”，游客可纵览长江汉江交汇的壮丽图景和一水两色的奇观，活跃的江岸景象和蓬勃的城市天际线在此一览无余 At the iconic “Tip of China”—the peninsula at the scenic confluence of the Yangtze the Han rivers—the distinct color of the water of the two rivers clash abruptly with a clearly visible boundary in the middle of the Yangtze. 生态考量是重点，沿河的滩涂地为维持区域生态多样性提供了重要保障 The river’s mudflats continue to play a critical role in supporting biodiversity and delivering crucial ecosystem services. Human society always brings various problems and contradictions in the process of uncoordinated development. What’s your opinion about interdisciplinary cooperation for how to effectively close the gap between research and practice? A central tenet of practice at Sasaki is the importance of communication, collaboration, and contribution. As an interdisciplinary practice, we directly experience the benefits of a more connected, integrated way of working every day. By collaborating with others, you are consistently enriching yourself, learning from their experience, and developing a shared sense of purpose. Coordination and communication is critical to our work. We strive for the best outcomes possible, which often means turning to experts in areas in which we don’t have deep knowledge. Nothing exists in isolation, and our work is at its best when everyone is contributing. Design is a continuum, which means that our practice must also constantly innovate and evolve. Recently, we launched the Incubator at Sasaki—a new co-working space which cultivates a network of ambitious and creative people committed to advancing solutions to the major challenges of this generation. 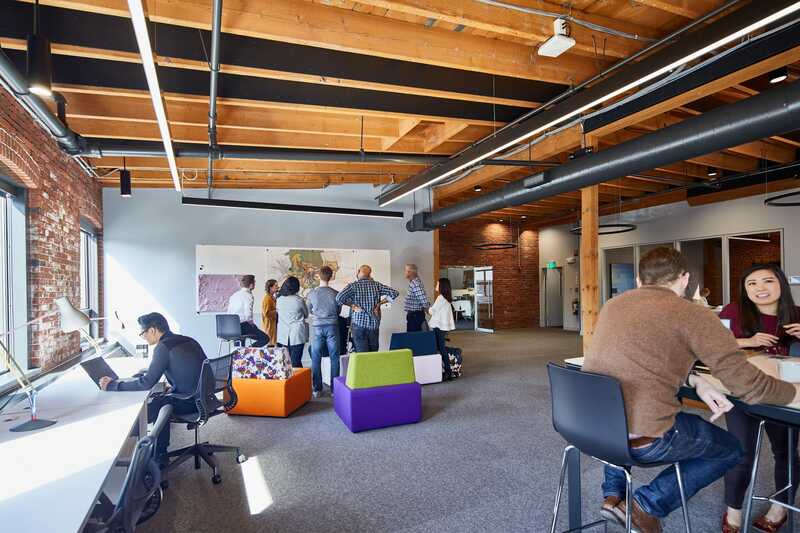 The space is designed as a flexible research studio, serving as a catalyst for cross-industry collaboration, bringing academic, professional, and community partners together. 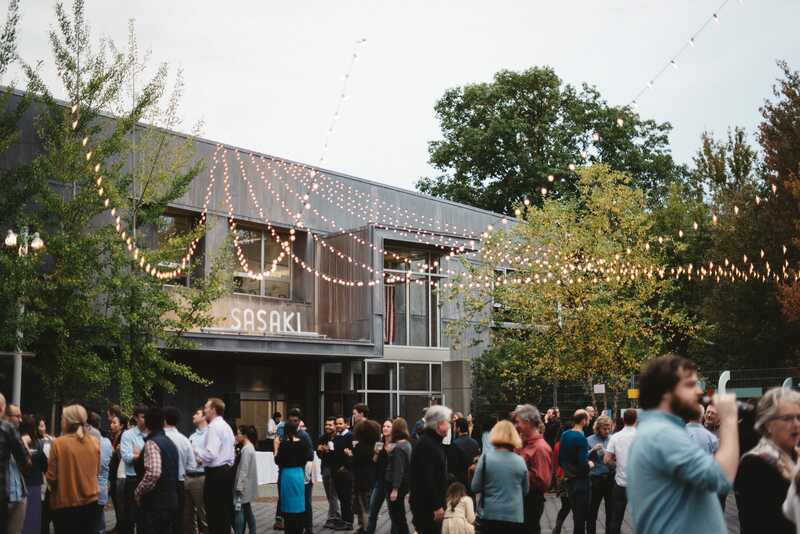 The Sasaki Foundation, the non-profit research arm of the firm, serves as the steward and curator of the Incubator, activating it with public programs and facilitating research initiatives, with Sasaki offering our expertise and resources. What are your most recent thoughts on design? What are your plans for the future? My mind is constantly on fire with new ideas, but right now there are a few specific things that I am cultivating. First, I am interested in broadening Sasaki’s reach. 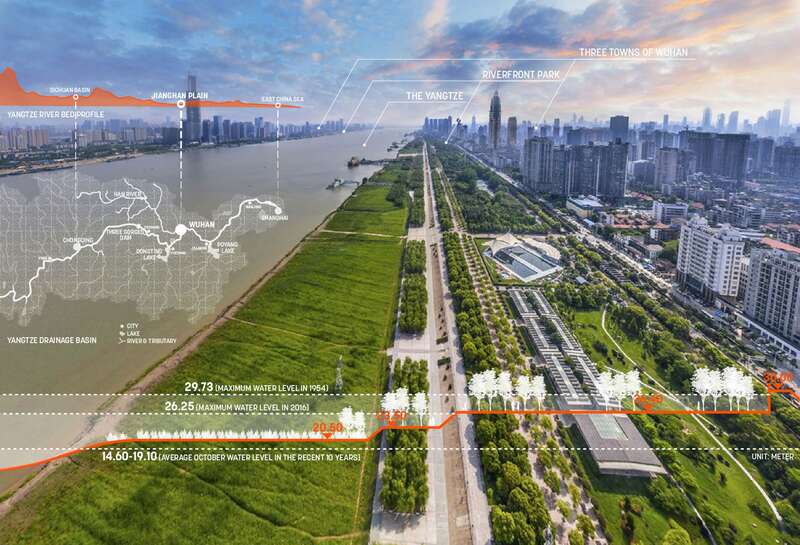 We are a small firm with a big voice, and I would like to use that voice to influence change and spread the word on how the design professions—especially landscape architecture—can play a key role in helping to find solutions to curb climate change. 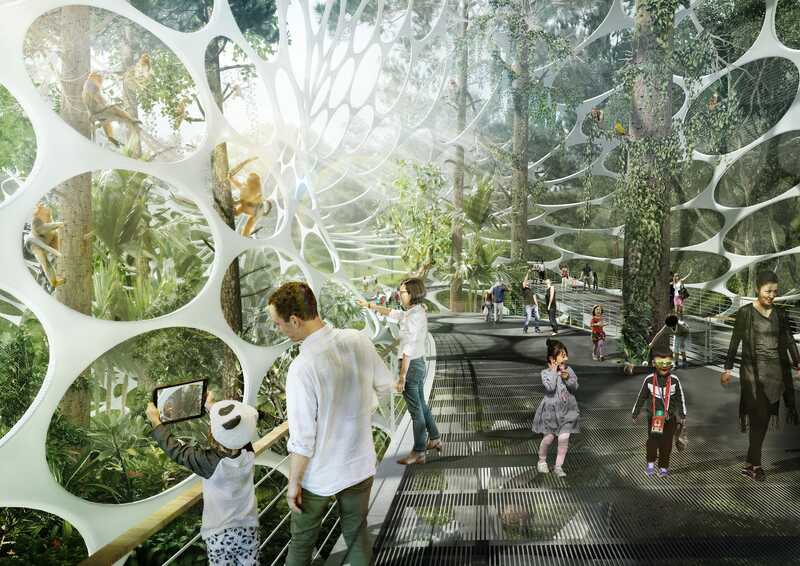 I have also been thinking a lot about our responsibility as designers to create spaces that are not only beautiful and poetic, but also function as part of a complete ecosystem. We have honed our design approach over the past few years to become increasingly focused on ecologically-beneficial solutions. 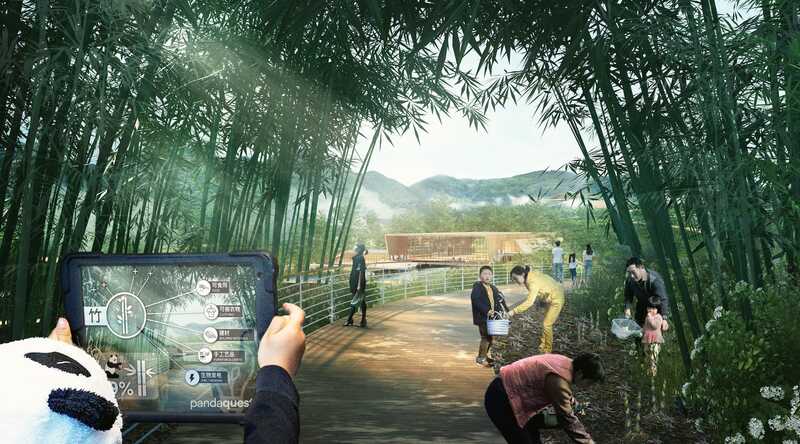 The next step is to build more of those types of landscapes, measure their impact with empirical, evidence-based data gathered from post-occupancy evaluations, and learn from those studies to refine our design thinking. 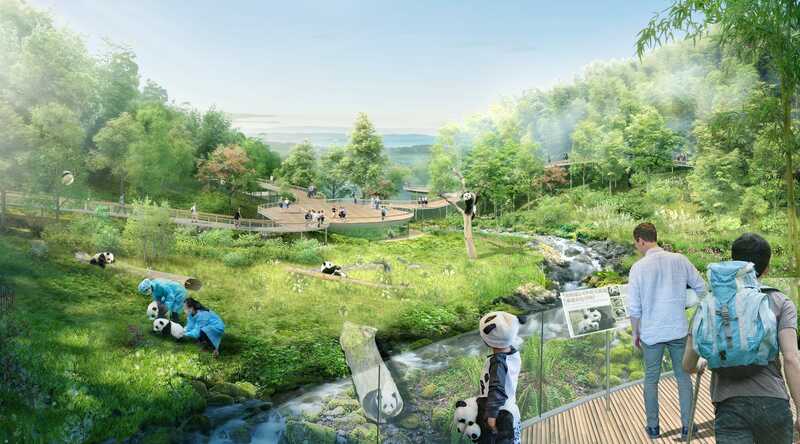 The ultimate goal is to create places that are energy and carbon neutral, and that provide necessary green infrastructure and habitat diversity. Finally, I am interested in ensuring that all of our work is moving towards being more equitable and inclusive. Often, design is reserved for the communities and people that can afford it. Cities tend to direct resources to design high-quality landscapes in highly-visible areas that already have the highest property values. 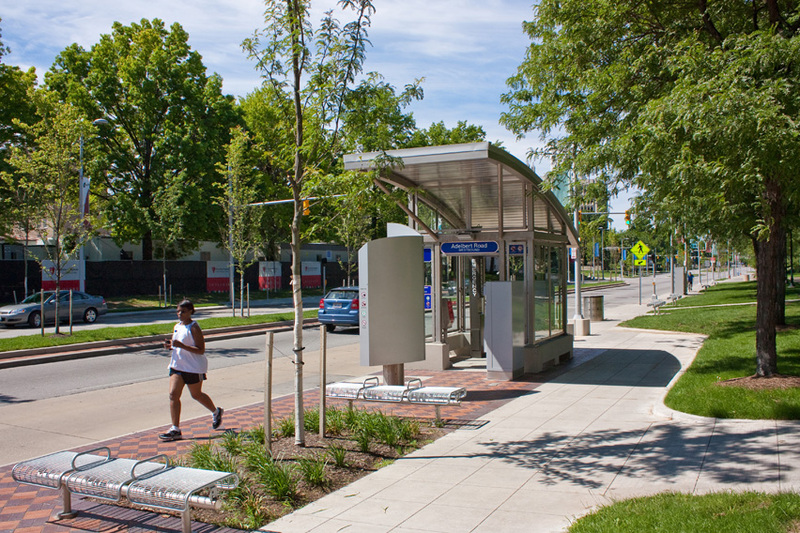 I’m interested in bringing the same level of design investment to historically underserved and underrepresented communities who haven’t had the same access to well-designed public open space. Design is something that is meant to benefit everyone, and we must take a proactive approach to ensuring that all members of society, regardless of socioeconomic status, have equitable access to good design. 感谢Michael以及Sasaki团队对本次采访的深度配合，欢迎更多业界同行约访！ Thanks to Michael and Sasaki’s team for their cooperation in this interview, and we sincerely hope to have more opportunities to interview with industry counterparts.